My personal code of ethics is fundamentally rooted in the values of my family. To me, certain values play a particularly significant role in my life and the lives of my mother, father and sister. I value loyalty, integrity, selflessness and a commitment to public service. But perhaps more so than any other value, I appreciate compassion. We often espouse the benefits of forgiving others or showing mercy to someone who may have erred, but in practice it can often be difficult to forgive. Yet when we feel compassion for others – when we understand that even the worst of us are still human beings and that every single one of us makes mistakes – it gives the strength to forgive even when that may not be easy. I sincerely believe that there is more good than there is evil in this world of us, and I want to empower myself to appreciate and support the values that help others. Interestingly, my particular appreciation of compassion plays an important role in both of the fields I will likely enter after graduation: journalism or public service. 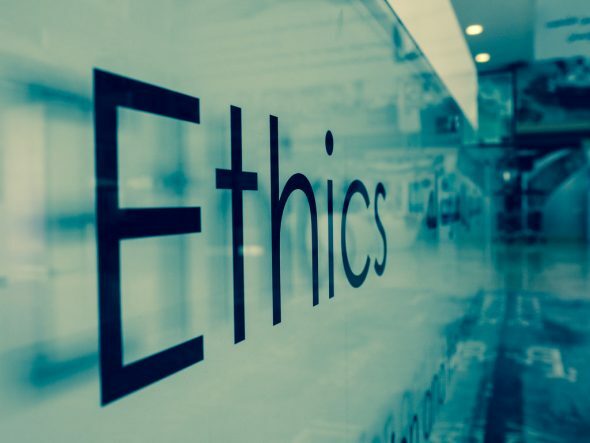 The media industry and American government institutions have radically different perspectives on how to self regulate the ethics of their employees. 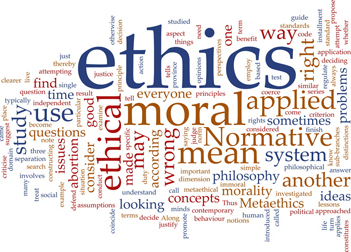 While organizations such as the Society of Professional Journalists or Journalism Degree have well crafted and articulated positions on journalistic ethics, no unified code of ethics exists for the field and no journalist could be compelled to abide to a certain code. Forcing any journalist to believe in just one code ethics would constitute a violation of that citizen’s First Amendment rights. In contrast, the Department of Justice has established extensive regulations regarding what constitutes ethical conduct, and what is a breach of ethical conduct, by a personal employee. As an example, a federal employee cannot accept gifts to avoid acts of bribery (in this instance, much like journalism). In addition, an entire federal agency exists to clarify what actions are or are not considered ethical breaches by Executive Branch employees. But both fields are unified in one unique way: employees cannot allow their own personal political opinions to interfere with their work. It is crucial for both journalists and public servants to ensure they remain unbiased and that they do not use their position in society to benefit candidates or officeholders from any particular party. This is a difficult issue for me and other prospective students to navigate. On the one hand, I hold strongly held political beliefs. I am a registered Democrat and consider myself more liberal than conservative. I am proud to invoke my right to vote and proud to invoke my right to free speech and discuss my views with others. But on the other hand, I understand the obvious appearance of a conflict of interest. But in my time as an intern, I saw how compassion plays a crucial role in mitigating this conflict of interest. As an intern, I met many federal employees who also held deeply held political beliefs and did not mind discussing them privately. Yet these individuals also noted that career public servants must look to see the good in the views of those they disagree with. Ultimately any federal employee who spends their career in government will work under both Republican and Democratic administrations. To best serve the people of the United States – which is always at heart of any public servant – one must show compassion and understanding to those with whom he or she may disagree, and find common ground to create policy solutions that both parties are equally invested in. I believe that it is possible to still retain personal political beliefs while pursuing policy solutions in an apolitical bureaucracy. Similarly, I believe that journalists can have and invoke their own political beliefs while remaining journalists of high integrity. Journalism is a profession fundamentally rooted in people. More than in any other profession, journalists spend their careers meeting new people from radically different backgrounds than his or her own. But the most successful journalists are those who are most open to interacting with new and different people, rather than judging those they do not yet understand. Once again, compassion is key. Even while reporting on politics, journalists with their own political views must remember that remaining open minded is crucial. It isn’t easy to see that no matter what party one is registered with or who one votes for, both you as an individual and the greater public are better served and can make more informed decisions through access to reliable news. So put aside one’s political views while on the job, and get back to doing what journalists are supposed to do: seek truth and report it. I am not entirely sure where life will take me in the professional world. But no matter where I go, my personal code of ethics will influence – and enhance – my work. To me, compassion is key. Written by: connormurphy94 on November 7, 2016.